Beverly Kelley is the founder of the Communications Department at California Lutheran University in Thousand Oaks, California. She is a regular contributor to the editorial pages of the Ventura County Star and the Los Angeles Times. 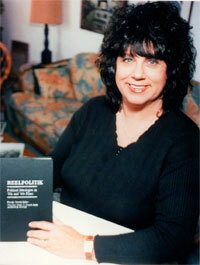 For five years she was the host of Local Talk with Beverly Kelley on KCLU-FM and hosted the local television show A Conversation With.... Reelpolitik, published by Praeger, is now in its second printing. The second volume of Reelpolitik, published by Rowman and Littlefield, is available now. Dr. Kelley is currently working on a third volume focusing on films of the '70's and '80's.